How does the bi-weekly delivery work? My family drinks more than a gallon of milk a week. Can I get more than a full herdshare? Why are two half share boarding fees more expensive than a whole share boarding fee? My family uses quite a bit of milk now, but I think I will need less milk in the future. Is that possible? Can I visit the farm? Can I get Pasture's Delights raw milk frozen? Can I pick up my raw milk at Seven Sons near Roanoke? What is a herd-share program? What is the one-time herdshare purchase for? What is the boarding fee for? How much milk does one share of a dairy herd give me? Do I have to pay for a share every year? At each delivery, you will receive 2 weeks worth of milk: one jug that is no more than 7 days old and a second that was just bottled in the last 48 hours. You'll drink the older jug first and save the fresh jug for the following week. In general, raw milk will keep in a refrigerator for at least 2 weeks, sometimes as long as 5 weeks, before souring. Yes! You can purchase multiple whole or partial herdshares. There is a discount for each full share after your first. Example 1 (fractional share): Say you typically consume 1.5 gallons per week, and wish to receive 3 gallons at each biweekly delivery, you'll need to purchase 1.5 herdshares one time for $150. Then you will pay $12 weekly ($24 at each delivery) for your boarding. Example 2 (multiple full shares): Say you typically consume 3 gallons per week, and wish to receive 6 gallons at each biweekly delivery, you'll need to purchase 3 herdshares one time for $300. Then you will pay $22 weekly ($44 at each delivery) for your boarding. There is more labor involved bottling two half gallons compared to a single full gallon. Yes! Your herdshare is a transferable asset. That means you can sell or transfer all or part of your herdshare back to Pasture's Delights or to another person who wants a herdshare. Click here to see our herdshare buyback policy. Yes! 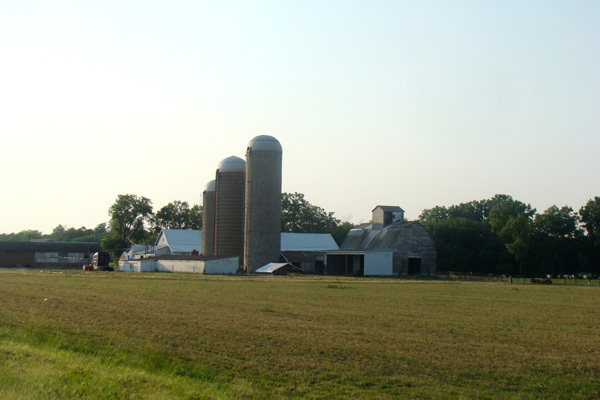 We offer regular farm tours for people interested in raw milk. You can find the next scheduled farm tour event on our Facebook page. We also encourage our herd owners to visit the farm to see their herd. Just let us know, and we'll be there to welcome you! We only offer a fresh milk product at this time. We intend to test and evaluate the feasibility of offering a frozen milk product, potentially allowing herd-share owners to come less often to pick up their shares worth of raw milk. A herd share agreement is a contract between a farmer and customer that allows the customer to “buy” a share or portion of an animal. 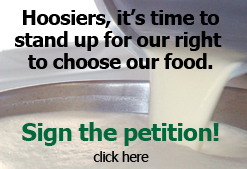 It is illegal in the state of Indiana to sell raw milk for human consumption. The legal way for a person who desires to obtain and consume raw milk is for them to purchase a cow and get the milk from the cow. Most people however are not interested in housing and feeding a cow, let alone able to consume the entire milk production from a cow. With a herd-share program families come together and share in the ownership interest of a dairy herd. Per a legal contract the families are then permitted to consume the milk from the dairy herd in a proportion equal to that of their ownership interest (shares owned). The owners of these herd share(s) enlist the services of a professional dairy farmer to care for their herd, milk the cows, and prepare the raw milk production to be accepted by the herd-share owners. Shareholders pay a monthly boarding fee and pick up their milk once a week or as scheduled to be convenient for both the farmer and the shareholder. This initial investment is your purchase price into the dairy herd. You now have ownership interest in the cows and are entitled to a share of what the herd produces. The ongoing costs of the program are taken care of through the boarding fees that are charged to your account weekly. This is the remuneration to Pasture’s Delights for our services in taking care of your share of the herd. Because it is a boarding fee and not payment for milk, it is not dependent upon your picking up your milk nor can it be adjusted if you should choose not to get milk for any reason. The agreed upon quantity of milk based on your ownership in the dairy herd will be made available to you each week by the farmer. Boarding fees can be paid at each pick up (weekly or biweekly) or mailed in with your monthly statement stub. How much milk does one share of a dairy herd produce? Approximately 1 gallon of real milk per week. This is variable however between no milk due to extraordinary circumstances to 2 gallons of milk per share per week. You can plan on receiving 1 gallon of milk per week most of the time. No. It is a one-time purchase. Just like buying stock on the stock market, once you buy it is yours, and you pay just for the upkeep (business costs) of maintaining that share and your dividend is any milk that the herd-share produces. Your only risk is similar to when a business goes bankrupt and the stock becomes void and worthless, if we have an act of God such as a fire, weather event (tornado), serious disease outbreak then that is where you could lose your herd-share.